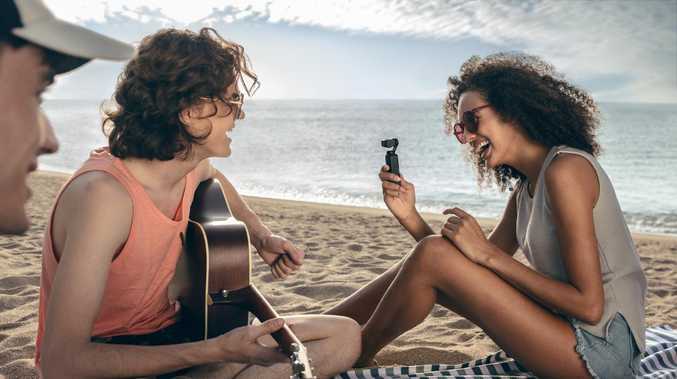 The DJI Osmo Pocket is a camera with its own built-in gimbal to produce smooth video and unique camera tricks. FROM flying cameras to lifesaving watches, 2018 has been another big year for gadgets. 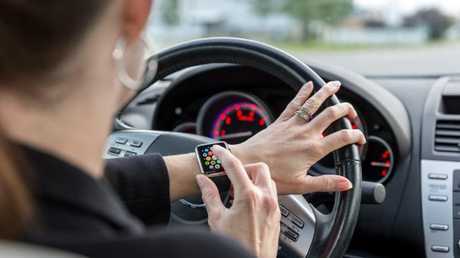 And Australians have been at the heart of it, splashing more than $3.3 billion on consumer technology, according to Statisa, and snapping up eight per cent more devices than last year, according to the Australian Bureau of Statistics. But while you might have invested in a new smartphone or a fresh TV, what should you have been buying? These are out top 10 tech picks for the year … and five gadgets to consider carefully before investing. DJI Mavic 2 Pro ($2499): There's a reason this drone's name was all over Instagram this year. The Mavic 2 Pro is the first consumer drone to feature a one-inch image sensor from Hasselblad, delivering significantly more detail, 20-megapixel still images, and 4K videos to users on the ground. The flying machine also arrived inside a small, folding body, and with new tricks including a longer battery life, adjustable aperture, HDR video, and Hyperlapse mode to automatically create stunning aerial movies. Apple Watch 4 ($599): Apple stepped up its wearable technology game this year, producing a timepiece that could actually save your life. While its best feature - the ability to monitor heart rhythms - has yet to be turned on in Australia, this device can alert emergency contacts if you fall over and stop moving, track your every move, and alert you if your heart rate goes above or below what it should while you're resting. The addition of a larger screen, thinner body, and louder volume also helps. Sony WH-1000XM3 ($399): There are many headphones that promise to eliminate distractions but none that do it quite as thoroughly as these cans from Sony. The third version of the company's 1000X noise-cancelling headphones use advanced sensors - including one that registers when you're on a plane - and multiple modes to ensure you only hear what you want to. A touch-sensitive panel delivers quick controls and they can quieten outside noise for up to 30 hours on one charge. Samsung Galaxy Note 9 ($1499): This smartphone is bigger where it counts - it has a bigger screen (6.4 inches), a bigger battery (4000mAh), a bigger memory (up to 512GB and space for a card), and bigger RAM (an extra 2GB) to power the most demanding apps. Its S Pen stylus is also better this year and can be used to take selfies from afar, its camera is packed with artificial intelligence to recognise scenes, and its screen features thinner borders (an no ugly notch). DJI Osmo Pocket ($599): It might be pocket-sized but this camera is powerfully handy. The Osmo Pocket packs a three-axis gimbal into its 11cm tall body, allowing it to remove the bumps and shake from your home movies, smoothly pan across a landscape, or automatically capture a pristine panoramic image. 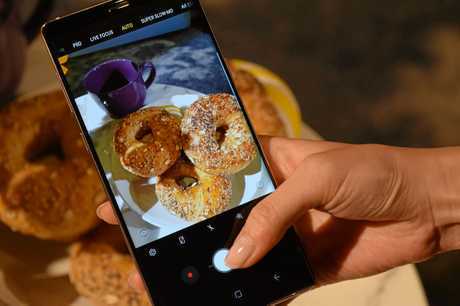 The surprisingly sophisticated gadget also easily connects to smartphones, and captures timelapse videos. Nikon Z7 ($5500): There was fierce competition in mirrorless cameras this year (the Sony A7III and Canon EOS R are both exceptional) but Nikon's first run at a smaller full-frame camera deserves attention. The Z7 is the company's category flagship, with a 45.7-megapixel resolution, 493 focal points, built-in five-axis stabilisation, and a travel-friendly size. Nikon veterans will need an adaptor to connect old lenses but its new glass, including the 35mm f1.8 prime lens, is bound to impress. Amazon Kindle Paperwhite ($199): Tablets might have tried to knock them off for good, but Amazon's 2018 e-book reader shows there's life in the technology yet. The new Paperwhite is now water-resistant for reading beside the pool or in the bath, comes with twice as much storage as the last model, and its six-inch screen features LED backlighting that automatically adjusts to your room. GoPro Hero 7 Black ($600): Action cameras have enjoyed a long moment in the spotlight but GoPro earned them more time this year with the addition of electronic stabilisation to smooth out bumps, HDR to make scenes more vibrant, and 8x slow-mo video. The tiny camera is also waterproof to 10m without a case and can be controlled by the user's voice, making a strong argument for an upgrade. 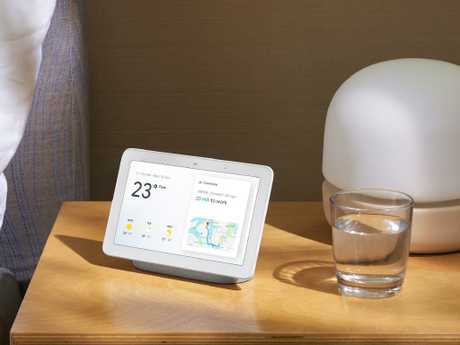 Google Home Hub ($199): Just one year after smart speakers pushed their way into our homes, this version proved they could be more useful with one extra feature. The Hub comes with a 7-inch touchscreen, which transforms the device into a digital photo frame, a YouTube host, a persistent clock and weather forecaster, and a much better web surfer. Being able to see maps, weather, or your playlists on the screen makes a big difference and, smartly, it doesn't have a camera to edge into 'creepy' territory. Ring Spotlight Cam Solar ($359): This is one of those devices you don't fully appreciate until after you've installed it. The light bulb moment comes when you realise this outdoor gadget will detect any motion outside your house, light it up, deliver an alert, and let you monitor it from wherever you are in the world with your smartphone. It comes with a battery and solar panel to charge it, you can install it yourself, and it delivers peace of mind. Facebook Portal: Two weeks after a data breach exposing the personal information of 90 million users, and following what could comfortably be described as a hellish year for privacy lapses, Facebook launched two internet-connected devices with wide-angle cameras that follow users around their own homes. The Portal devices use artificial intelligence to zoom in on individual faces automatically, and Facebook collects data on the duration and frequency of video calls placed. No word on sales but The Verge described them as a "trust fail" and Engadget "tone deaf". Bendy iPad Pro: Apple's new iPad Pro tablets were impressive enough to earn a high rank on the good gadgets list until revelations this month. The 11 and 12.9-inch devices are beautifully designed, feature thin borders and face recognition, and come with handier accessories. Unfortunately, some models are emerging with a noticeable bend in their aluminium chassis and Apple's response that "these slight variations do not affect the function of the device in any way" is not the normal standard for customer service at the Genius Bar. PlayStation Classic: This miniature games machine had so much potential. It was billed a nostalgic journey through Sony's greatest video game hits, with 20 classic titles preloaded to the machine and ready to transfer on to the big screen. Sadly, not all the games qualify as classics (at least 10 are strange choices), some are only available in low-res PAL versions, and the kit doesn't even come with a power adaptor. Google Pixel 3: A camera packed with artificial intelligence, a clear screen, slick design, and no bloatware are some of the selling points of this phone. Unfortunately, Google scrimped on the RAM inside its new flagship handset, and its meagre 4GB has not been enough to keep apps running in the background, ending podcasts and music streaming prematurely. In some cases, it's even stopped photos from being saved. A forthcoming software update may help the problem. Smartphone prices: Not just one manufacturer but many of them took the opportunity to raise the price of these small-screen devices this year, sending some smashing through the $2000 barrier. Samsung broke its own record with the $1799 price of the Note 9, but Apple went even bigger with the $2369 price tag on its top model iPhone XS Max. Analysts expect buyers to keep them for longer than ever. Buyers hope not to drop them.